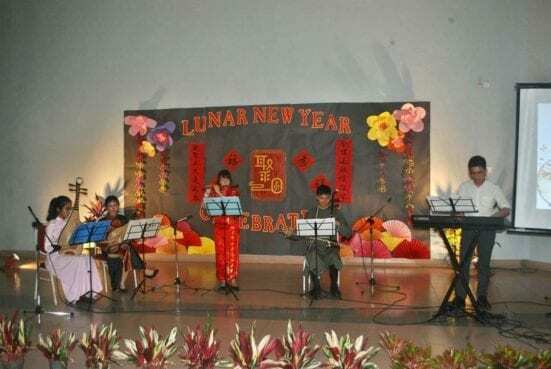 The annual event, Lunar New Year Celebration organized by UTM Mandarin Class, is a programme under HEP. This event was held at L50 from 7.00 p.m. until 10.00 p.m on 22nd February 2019. 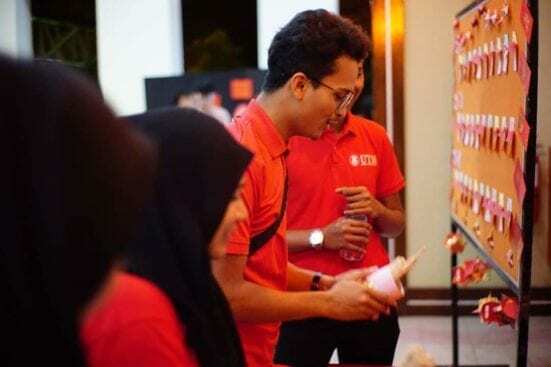 It had attracted more than 300 people, including UTM students, alumni as well as the staff. The preparation commenced one month before and everyone seemed absorbed in their preparation work with a vision to make the event a success. 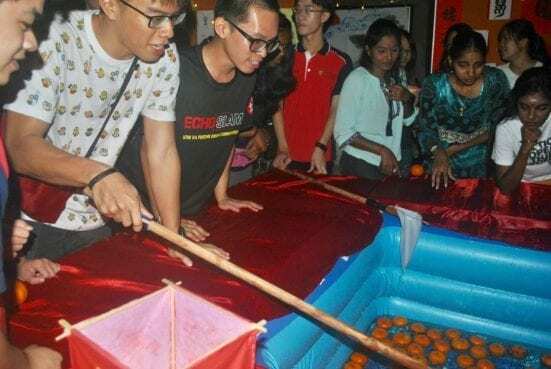 Mr. Masnawi bin Miskam, Penolong Pendaftar Kanan Pejabat Hal Ehwal Pelajar enjoyed the festival by taking part in the Mandarin Tossing session and the traditional Pitch-Pot game. He did show his interest and asked about the origin of the customs. 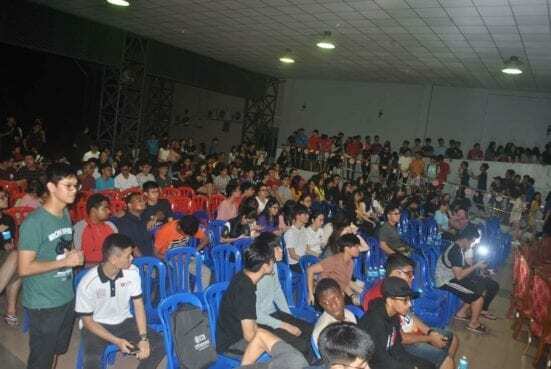 Then, together with Prof. Madya Dr. Yeak Su Hoe, the Advisor of UTM Mandarin Class, Mr. Muhammad Ikmal bin Borhan, the President of Student Representative Council honored the event by giving talks during the opening ceremony. 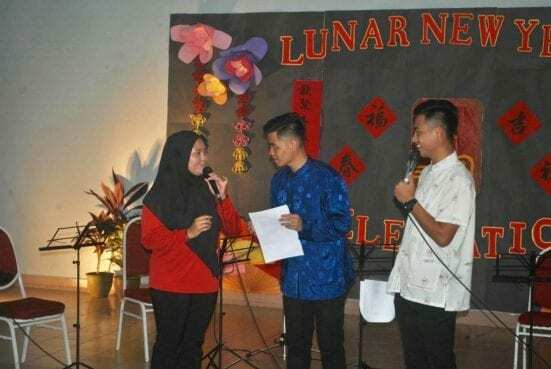 The title of the celebration was ‘Ju Yuan’, which means reunion in Mandarin language as this year is the year where all the zodiac animals gathered together after one cycle of twelve years. 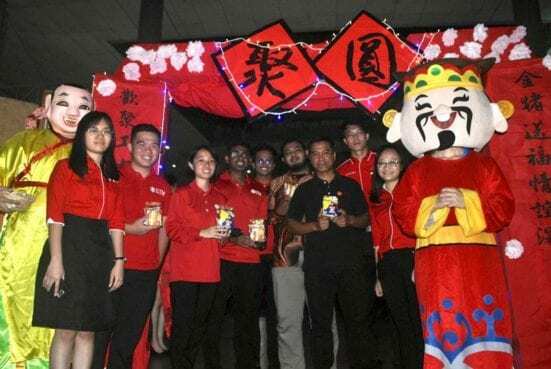 A mentionable moment was that not only Chinese, Malays and Indians but also foreign students from Vietnam, Indonesia, Yemen, and China all gathered at L50 to inspirit the atmosphere. It showed that despite our differences in skin colors, religions and races, we can still appreciate other culture as we are all Malaysians. Besides, the celebration was a huge success in terms of portraying our multi-racial society to foreign students. UTM encourages the involvement of students in spiritual and cultural activities. It helps to build connections among us and strengthen our bonding. Students can enhance their understanding towards other races through experiential activities and be involved in it. Apart from that, Chinese students can get to know more about their own cultures. 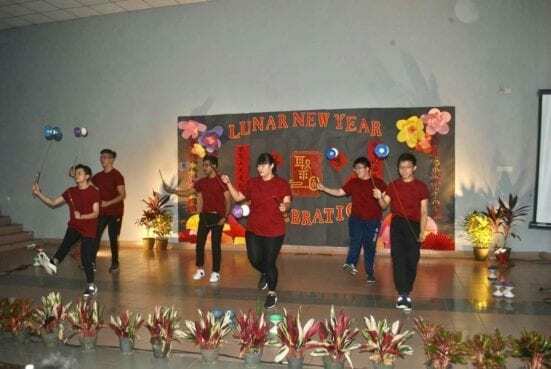 All in all, it is hoped that the UTM Mandarin Class will maintain its momentum in organizing the Lunar New Year Celebration and keep on improving the context in the future.